In anticipation of the incoming administration, we at AMPHS are maximizing our efforts to protect the rights of our immigrant community members and to make health and wellness accessible to those in need. Provide free health and disease prevention services to the New Yorkers who might lose health insurance or be excluded from the healthcare system in 2017. Educate immigrant communities about their immigration and healthcare rights through Know Your Rights Workshops and street canvasses. Coordinate care plans for individuals who are left out of the healthcare system and connect them to resources to help them navigate their options. Assemble pro bono legal service providers to assist immigrants in conducting immigration screenings, securing health insurance, and being represented in immigration proceedings. Conduct active street outreach to identify community needs and sentiments. Convene community leaders and members to discuss action roadmaps to protect our community. Support New York City’s efforts to fight back against threats and coercion against immigrant communities. No matter the political situation, AMPHS remains devoted to advancing quality healthcare to those in need, regardless of income, insurance, or immigration status. We are here for our immigrant communities. As with so many other grassroots organizations devoted to human rights and social justice, we at AMPHS are trying to anticipate the consequences of this presidential election. These are uncertain and frightening times—especially for the community members we serve, who are particularly vulnerable to a number of proposed policy changes, both in terms of their healthcare and their immigration status. In recent years, we’ve seen a great deal of progress on these fronts. Thanks to the tireless efforts of activists across the country and the bravery of those who risked deportation by coming out of the shadows, President Obama unveiled his executive actions on immigration, providing deportation relief and authorization to work for nearly 5 million undocumented immigrants. With the passage of President Obama’s signature Affordable Care Act (ACA), barriers to healthcare were beginning to fall, and many who could not previously afford insurance were finally able to realize what we at AMPHS have always deemed a human right—access to quality care. These successes were not easily won, and their opponents were quick to dismantle them. In June, the Supreme Court, locked in a 4-4 ruling, effectively deemed President Obama’s immigration action unconstitutional. And earlier this month, we saw the election of not only a president but a Congress (and with them the likely appointment of numerous right-leaning federal judges) poised to repeal the ACA and staunch the rights and security of undocumented immigrants and their families. With these developments, how can we help but feel defeated? All of this progress just to be thrown swiftly back to zero? But we have to remind ourselves that the political landscape, as turbulent as it seems, is not all that different now than it was when we began our fight. In fact, in many ways, it was worse. We didn’t begin by defending rights already afforded to the marginalized; we began without rights to defend. We began without visibility, without a network of support. We began without a movement. 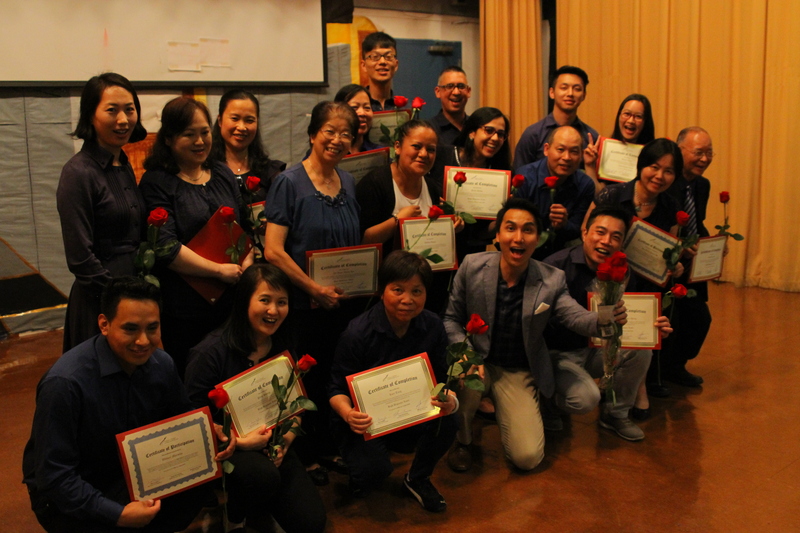 From the start, AMPHS’ mission was to empower “individuals and communities to create their own local and culturally-sensitive health and wellness paradigms.” And it still is. We were founded on the principles of advancing healthcare to those in need, regardless of income, insurance, or immigration status. It’s what we’ve always done, and we’re learning how to do it better and better every day. Yes, we may be disappointed, and we may be scared, but this is not a reset. We are not starting from scratch, because from the beginning, we’ve taken nothing for granted. All these years, and what do we have to show for them? We have a stalwart—and a visible—network of support that persists not because of the ACA, not because of DACA or DAPA, not because of any elected official. We have it because we built it ourselves. So we persist, so we continue to build on what we have, and we already have so much. We have each other. We at AMPHS are closely monitoring these new developments, and we promise to keep our communities informed of their rights and resources. Please go to this link for a list of key updates on AMPHS’ programs and the president-elect’s policies, and do not hesitate to reach out to us if you have any questions or concerns. Call us at (212) 256-9036 or email info@amphsonline.org. Community members rally in Brooklyn, NY, to protect the rights of immigrants. There are many uncertainties regarding President-elect Trump’s shifting policies on healthcare and immigration. AMPHS is closely monitoring these new developments and will provide updates as we receive them. New York City is a sanctuary city and Mayor de Blasio has vowed to protect undocumented residents under the new presidency, as has the New York City Council. 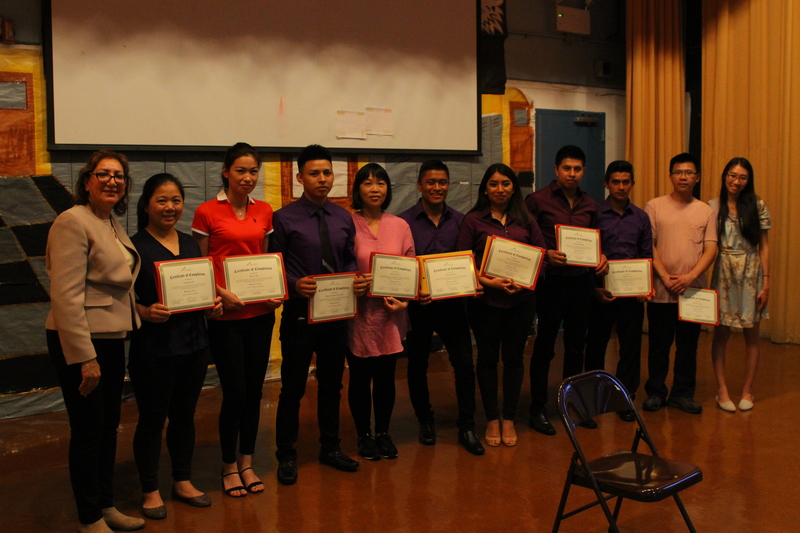 All information collected under DACA Ed, ActionNYC, and IDNYC remains confidential. 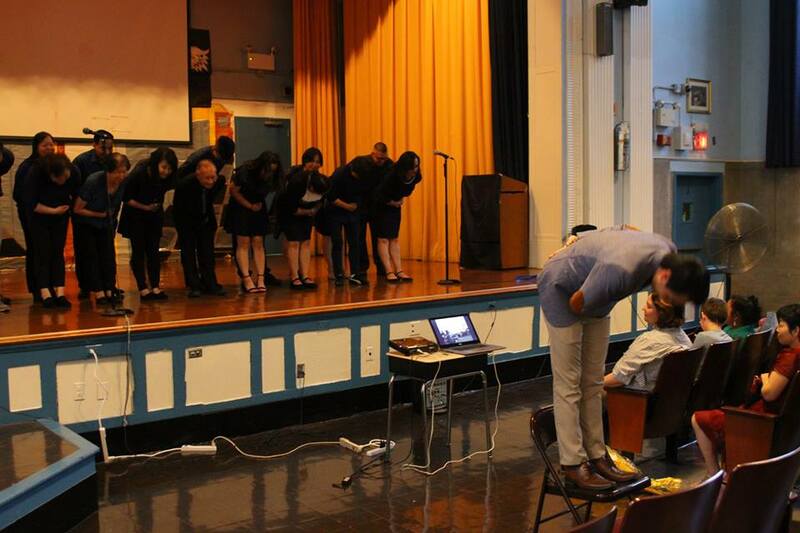 AMPHS will continue to conduct health screenings in Sunset Park. Please contact us at (212) 256-9036 or email at info@amphsonline.org to make an appointment. All of our health services remain free and open to the public regardless of insurance or immigration status. AMPHS is putting a hold on our DACA Ed outreach until further notice. Individuals already enrolled in Fall DACA Ed courses can continue the program for educational advancement purposes. However, they will be discouraged from applying for DACA until we have more information about the President-elect’s plans. Undocumented immigrants are encouraged to make ActionNYC appointments for legal counseling. Call us at (212) 256-9036 or email info@amphsonline.org for more information. U.S. Citizenship and Immigration Services (USCIS) states that information shared via DACA applications is protected from disclosure to Immigration and Customs Enforcement (ICE) and U.S. Customs and Border Protection (CBP) for the purpose of immigration enforcement proceedings, though USCIS reserves the right to issue a Notice To Appear or referral to ICE should criteria be met. USCIS also states that this policy may change. We do not know whether there will be a move by the new administration to use USCIS information to remove groups that were never targeted for deportation in the past. Past groups targeted for deportation were generally individuals who had been convicted of a crime. Moreover, President-elect Trump’s plan to deport millions of immigrants seems unfeasible in light of his joint proposal to enforce federal cutbacks. Despite this, circumstances are unpredictable at this time. For those who are not currently DACAmented (that is, receiving benefits under the DACA program) we are no longer citing DACA as a pathway to health insurance. Individuals currently DACAmented will still be able to apply for health insurance under PRUCOL, but we are uncertain of future implications. We do not suggest submitting DACA applications or renewals at this time. Applications submitted now can take several months to be processed and will likely not protect the applicant should DACA be eliminated. While the ACA will be difficult to dismantle entirely, the President-elect can immediately target subsidies, the individual mandate, and the employer mandate. Instead of the ACA, President-elect Trump has proposed tax deductions for healthcare premiums, authorization to purchase health insurance across state lines, and block grants for state Medicaid programs. According to the Committee for a Responsible Federal Budget, President-elect Trump’s healthcare plans could cost up to $550 billion and result in the loss of coverage for over 20 million people. The President-elect has suggested he would keep some components of the ACA, such as pre-existing condition protections and the option for children to stay on their parents’ insurance plan up to age 26. AMPHS marches with NYC Council Immigration Committee Chair Carlos Menchaca. The Obama administration has proposed a new rule that would prevent states from withholding Title X federal family planning money from certain recipients for any reason other than the provider’s “ability to deliver services to program beneficiaries in an effective manner.” Under this rule, states will no longer be able to defund Planned Parenthood. The rule will go into effect after a 30-day public comment period. According to Donald Trump’s website, his administration plans to remove thousands of so-called “criminal aliens” in “joint operations with local, state, and federal law enforcement.” However, many local law enforcement agencies have already claimed that they will not aid President-elect Trump’s deportation efforts, including Los Angeles Police Chief Charlie Beck. Police departments across the country have shared similar sentiments, as have the mayors of New York City, Los Angeles, Chicago, Minneapolis, Newark, Denver, Seattle, Philadelphia, and Providence, Rhode Island. Donald Trump’s website also states that his administration will “end sanctuary cities,” terminate DACA, and triple the number of ICE agents. And in a recent “60 Minutes” interview, Trump vowed to deport up to 3 million immigrants. Many have argued that these plans are unrealistic and prohibitively expensive, and as already mentioned, many cities have publicly promised to defend against such policies. However, an expansion of ICE and/or more frequent raids is certainly possible. Click here to learn more about how to protect yourself if the police or ICE come to your house. No matter the political situation, AMPHS remains devoted to advancing quality healthcare to those in need, regardless of income, insurance, or immigration status. We stand in solidarity with our immigrant communities and will work as always to defend the human rights of the most vulnerable. If you have any questions or concerns, please call us at (212) 256-9036 or email at info@amphsonline.org. We are here for you. 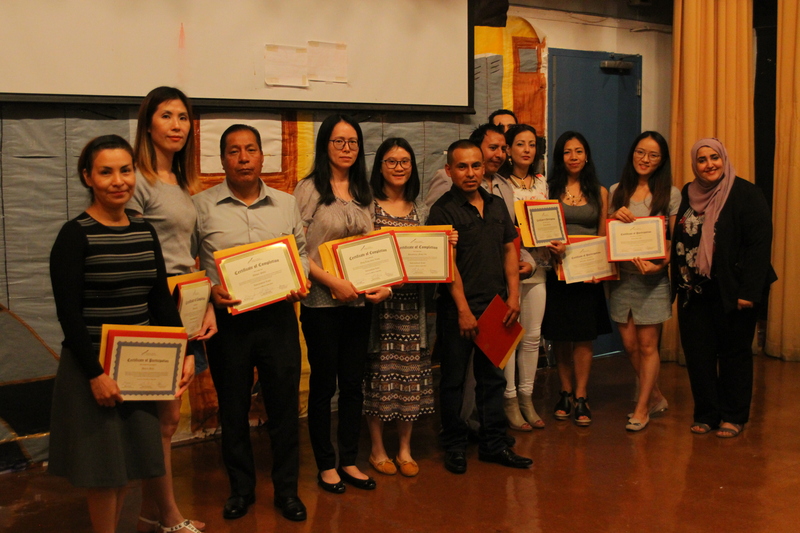 The Neighborhood Outreach Organizer is responsible for conducting outreach in Sunset Park for AMPHS’ health and immigrant service programs to spread awareness and empower community members to become independent and resource-driven. He or she will spread the word about AMPHS’ services in the field across small businesses and community organizations to enroll individuals in AMPHS’ free programs (including free health screenings and classes) and the DACA Education Initiative (a Mayor’s Office of Immigrant Affairs program aimed at identifying individuals who qualify for DACA to assist them in applying and fulfilling their education requirement for DACA application). The Neighborhood Outreach Organizer reports directly to the Chief of Staff. Preference given to candidates with a bachelor’s diploma or higher. Prior outreach, canvassing, or organizing experience preferred. Excellent communication skills, including the ability to listen well, speak articulately in a public setting and use language appropriately. Strong knowledge of Sunset Park, Brooklyn through prior experience living or working in the neighborhood. 15-20 hours per week; weekend availability required. The agreement for this position is effective until June 30, 2017 with the opportunity for renewal thereafter. Please submit a copy of your cover letter and resume to personnel.resources@amphsonline.org. Applications will be reviewed on a rolling first-come, first-serve basis until September 30, 2016. It’s Memorial Day weekend, which means it’s the last weekend of Mental Health Awareness Month. But that doesn’t mean we can’t continue to spread awareness throughout the year on this critical and often misunderstood public health issue. Mental health challenges—such as depression, anxiety, psychosis, bipolar disorder, post-traumatic stress disorder, and substance abuse—are shockingly common in the Unites States. Would you guess that more than 16 million American adults are affected by depression in a given year? Or that 3.3 million American adults suffer from bipolar disorder? Or that over 11 million Americans will experience psychosis in their lifetime? 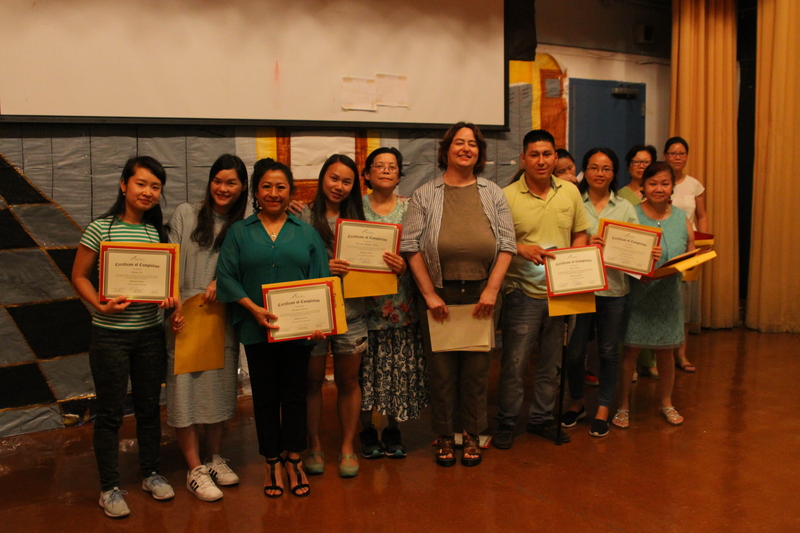 At AMPHS, we’ve found that the stressors often endured by the low-income immigrant populations we serve can lead to many of these mental health challenges. Inadequate housing, financial hardship, social isolation, fear of deportation—it is no wonder that a 2008 study conducted by the Carolina Population Center at UNC-Chapel Hill found 30% of Latino adolescents in North Carolina (93% of whom were not US citizens) showed signs of sub-clinical or clinical anxiety, and 18% showed signs of depression. 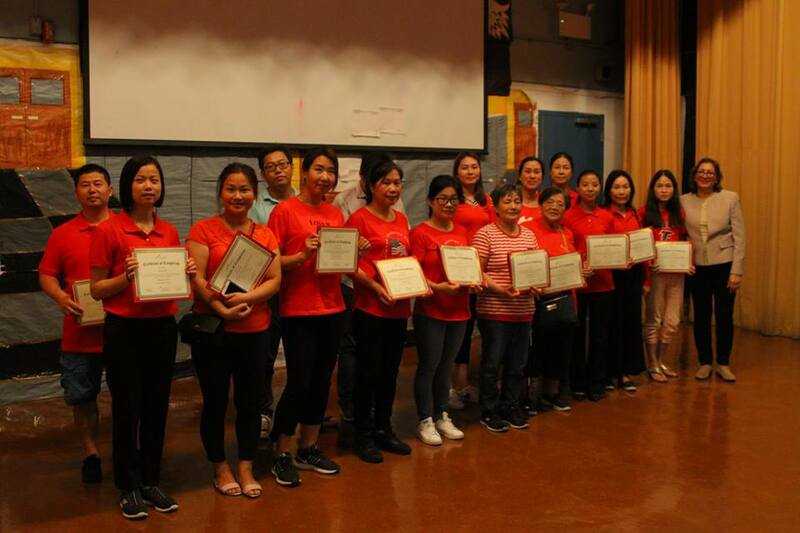 The Asian Outreach Program at The Child Center of NY also identifies “the stigma still surrounding mental health and substance abuse treatment in traditional Asian cultures” as a particular obstacle for newly immigrated Asian children and adolescents at higher risk for mental health and substance abuse issues. That is why we at AMPHS are making mental health a priority. With The National Council for Behavioral Health, we are providing Mental Health First Aid courses to help individuals work with those who are developing a mental health problem or experiencing a mental health crisis. Identified on SAMHSA’s National Registry of Evidence-Based Programs and Practices, this training helps the public better identify, understand, and respond to signs of mental illnesses. Based on the pioneering work of Mental Health First Aid founders Betty Kitchener and Tony Jorm, this 8-hour training certification course instructs participants on a five-step action plan to assess a situation, select and implement interventions, and secure appropriate care for the individual experiencing a mental health crisis. Thorough evaluations, in randomized controlled trials and a quantitative study, have proved this CPR-like program effective in improving trainees’ knowledge of mental disorders, reducing stigma, and increasing the amount of help provided to others. 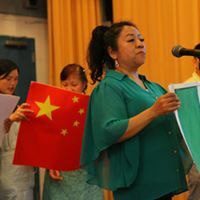 This program is generously co-sponsored by Senator Jesse Hamilton, the Chinese-American Planning Council Brooklyn Community Center, and African Services Committee. To learn more about Mental Health Awareness, visit Mental Health America whose awareness theme this year is Life with a Mental Illness, for which they’ve called on individuals to share what life with a mental illness feels like for them in words, pictures and video by tagging their social media posts with #mentalillnessfeelslike. All posts are collected here. 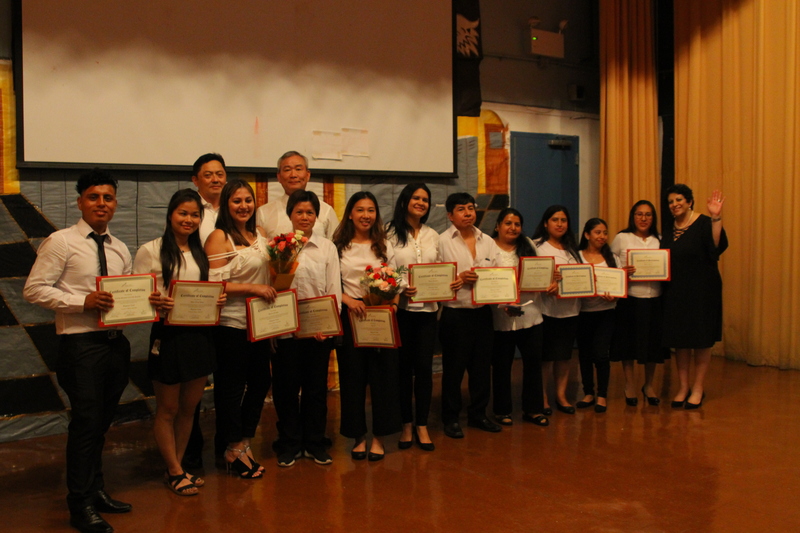 For more information on Academy of Medical & Public Health Services and our other training programs, visit www.amphsonline.org. For more information on Mental Health First Aid, visit www.mentalhealthfirstaid.org.